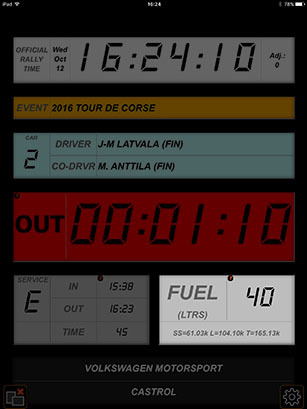 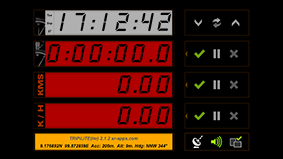 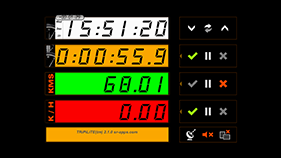 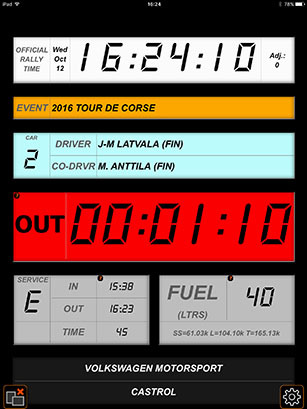 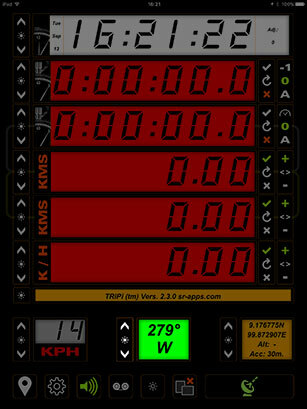 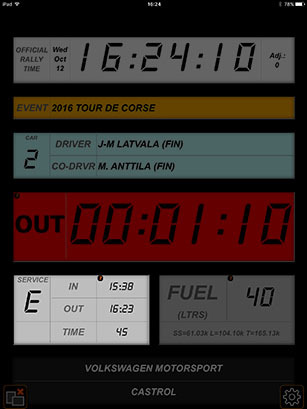 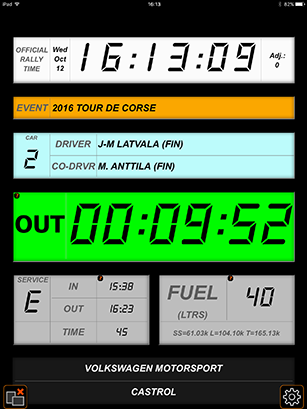 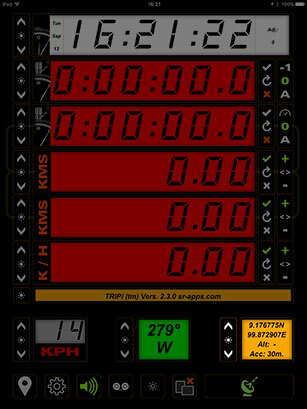 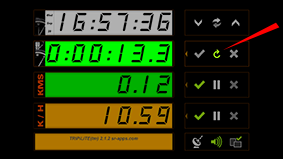 TRiPi™ is a full-featured professional stage rally tripmeter. 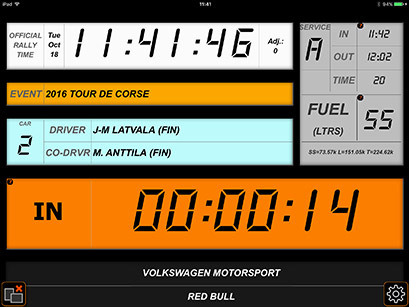 The app is available for the iPad, iPad Mini and iPhone. • The clock shows time of day in hh:mm:ss format. 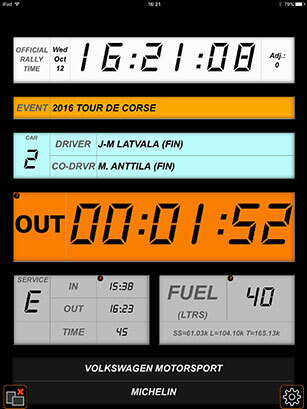 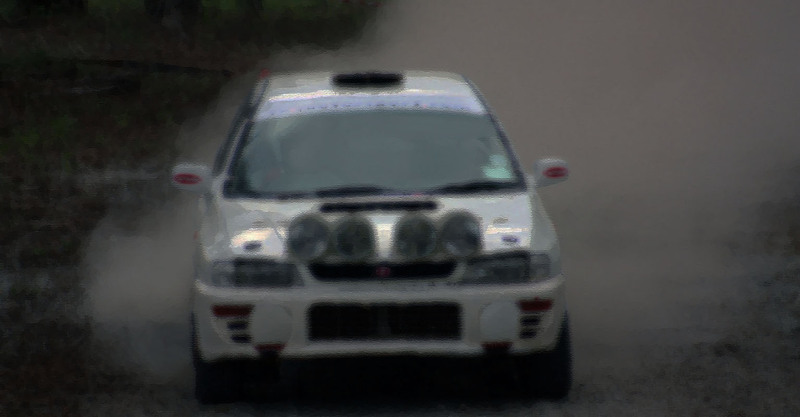 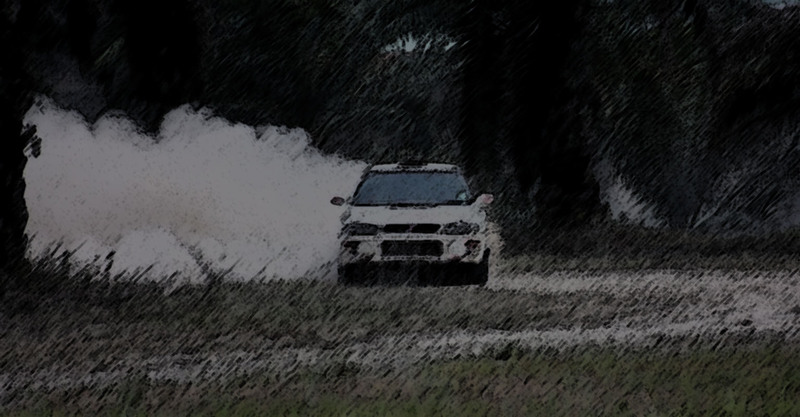 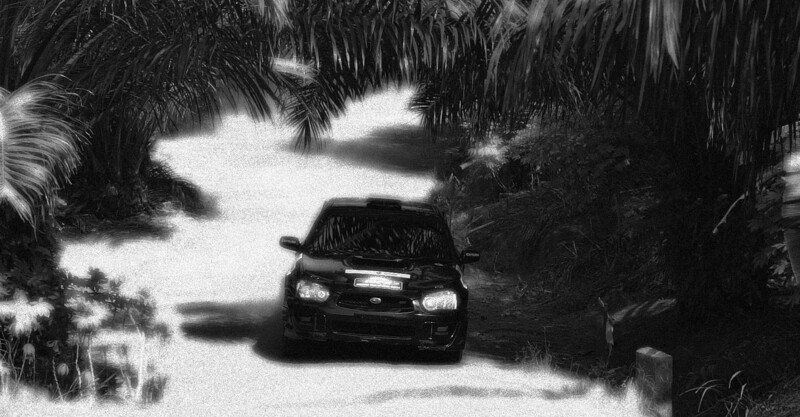 It can be set to Official Rally Time. 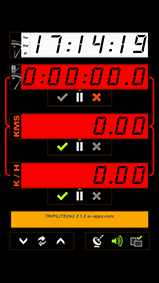 kilometers or miles; or average speed in KPH or MPH. 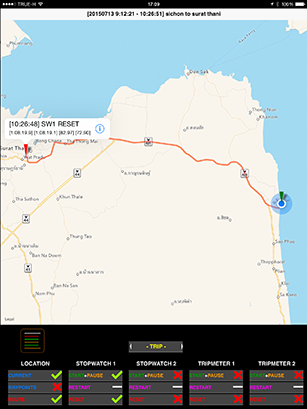 • This line shows helpful info, such as "GPS not initialized"
or the app's current version number. 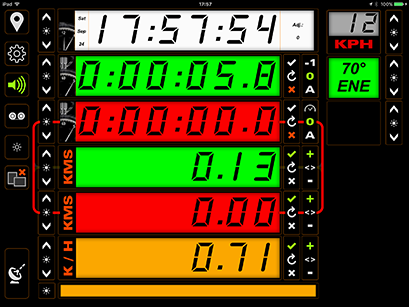 • Bottom left is the current speed display - in KPH or MPH. • Bottom center is the current compass heading. 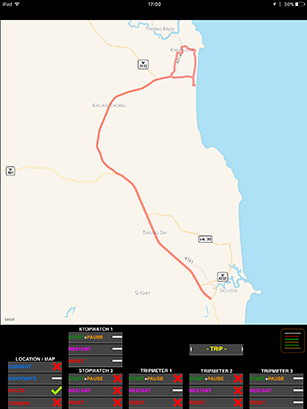 • The map can display any stored route. 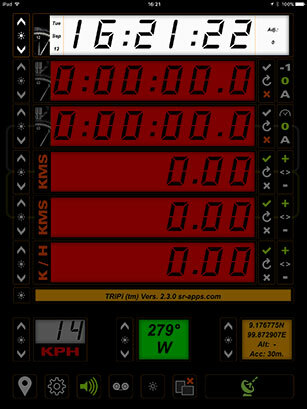 ...and markers to show where meters were tapped. meter's brightness & color can be adjusted individually. TRiPi is happy to work in Portrait or Landscape Mode. 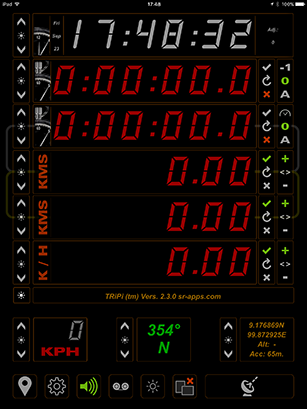 To learn more about TRiPi's many other functions, please click/tap the PDF button below, to download the comprehensive User Guide. 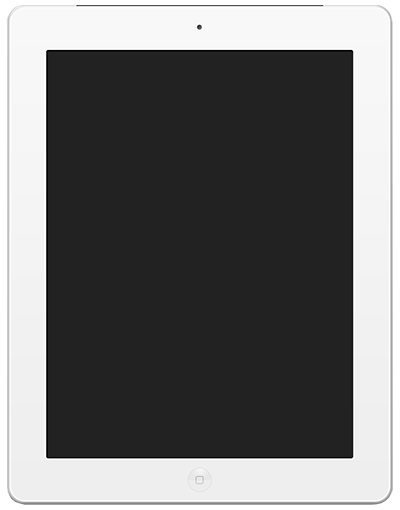 To return to the main screen, click/tap ALL APPS in the menu above. 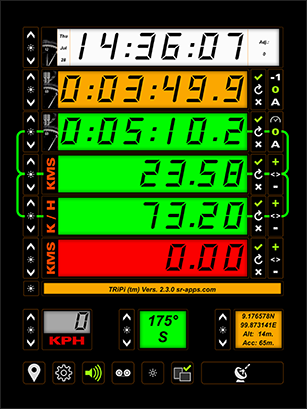 • The stopwatch displays the time to tenths of seconds. 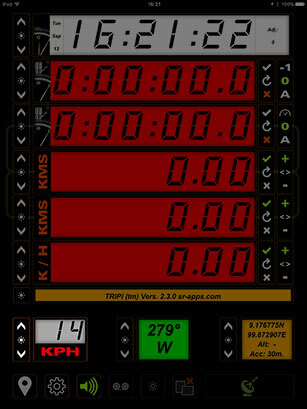 • Meters can be set to reset-to-zero & restart via a single tap. • TRiPiLiTE is happy to work in landscape or portrait mode. To learn more about TRiPiLiTE's many other functoins, please click/tap the PDF button below, to download the comprehensive User Guide. 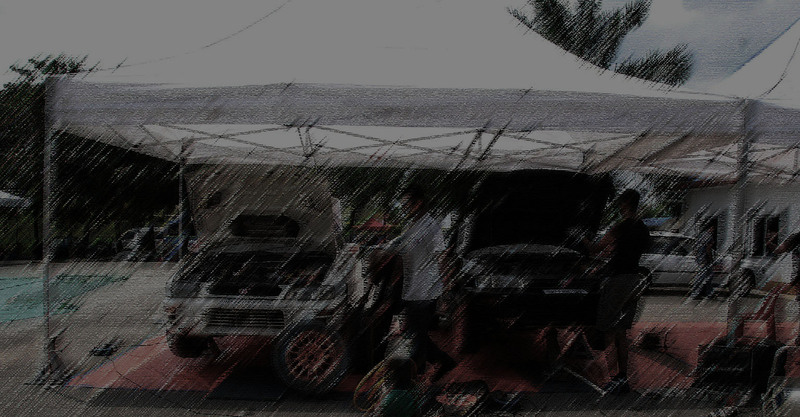 Essential Rally Service Park Assistant. 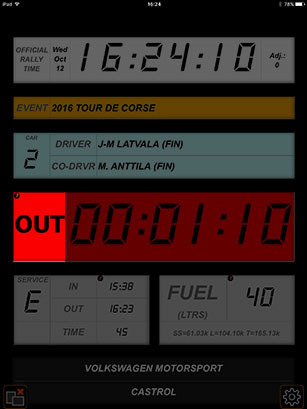 "Car Due Out Of Service in One Minute"
RALLiSERViCE is happy to work in Portrait or Landscape mode.